Clip-on bow tie. 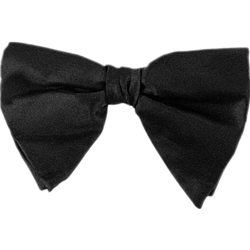 This bow tie can be used for a variety of characters, or with a nice shirt as it is a real bow tie! Easy clip on to your shirt. Available in black or white.